In uncommon tremor disorders, clinical efficacy and optimal anatomical targets for deep brain stimulation (DBS) remain inadequately studied and insufficiently quantified. We identified a total of 263 cases treated with DBS for uncommon tremor disorders. Of these, 44 had Holmes tremor (HT), 18 orthostatic tremor (OT), 177 multiple sclerosis (MS)-associated tremor, 14 neuropathy-associated tremor, and 10 fragile X-associated tremor/ataxia syndrome (FXTAS). DBS resulted in favorable, albeit partial, clinical improvements in HT cases receiving Vim-DBS alone or in combination with additional targets. A sustained improvement was reported in OT cases treated with bilateral Vim-DBS, while the two cases treated with unilateral Vim-DBS demonstrated only a transient effect. MS-associated tremor responded to dual-target Vim-/VO-DBS, but the inability to account for the progression of MS-associated disability impeded the assessment of its long-term clinical efficacy. Neuropathy-associated tremor substantially improved with Vim-DBS. 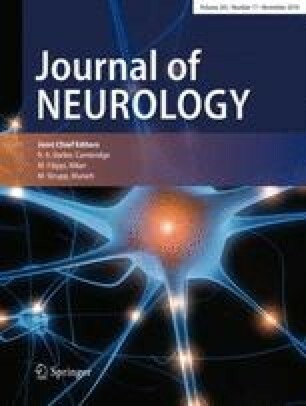 In FXTAS patients, while Vim-DBS was effective in improving tremor, equivocal results were observed in those with ataxia. DBS of select targets may represent an effective therapeutic strategy for uncommon tremor disorders, although the level of evidence is currently in its incipient form and based on single cases or limited case series. An international registry is, therefore, warranted to clarify selection criteria, long-term results, and optimal surgical targets. The authors are thankful to Dr. Alberto J. Espay for his intellectual contribution in the critical revision of the manuscript. CAA: study conception, data analysis, and writing the first draft; AF: data collection and analysis, abd manuscript revision; AR: data collection and analysis, and manuscript revision; LM: data collection and analysis, and manuscript revision; RB: data collection and analysis, and manuscript revision; LLS: revision of the manuscript for important intellectual contents; MZ: revision of the manuscript for important intellectual contents; APD: revision of the manuscript for important intellectual contents; GTM: revision of the manuscript for important intellectual contents; LL: revision of the manuscript for important intellectual contents; AM: study conception, data analysis, and writing and revision of the first draft. All the co-authors listed above gave their final approval of this manuscript version. Dr. Artusi reports no conflict of interest; Dr. Farooqi reports no conflict of interest; Dr. Romagnolo has received grant support and speaker’s honoraria from AbbVie, speaker honoraria from Chiesi Farmaceutici and travel grants from Lusofarmaco and UCB Pharma; Dr. Marsili reports no conflict of interest; Dr. Balestrino reports no conflict of interest; Dr. Sokol reports no conflict of interest; Dr. Madybur is supported by the Mayfield Education research fund grant; he received honoraria from Medtronic and Boston Scientific; Dr. Wang has no disclosures; Dr. Zibetti has received speaker’s honoraria from Medtronic, Lundbeck, UCB Pharma, and AbbVie; Dr. Duker reports no conflict of interest; Dr. Lopiano has received honoraria for lecturing and travel grants from Medtronic, UCB Pharma, and AbbVie; Dr Merola is supported by NIH (KL2 TR001426) and has received speaker honoraria from CSL Behring, Cynapsus Therapeutics, and AbbVie. He has received grant support from Lundbeck and Abbott.